According to the Santa Fe New Mexican on January 30, 2018, Santa Fe County Commissioners unanimously approved settlements with four Northern New Mexico pueblos that establish rights of way for certain roadways through the year 2216, finalizing months of negotiations over long-standing access disputes that have bedeviled Pojoaque Basin property owners and threatened to leave funding for a planned regional water system in limbo. The individual deals with the pueblos of Nambe, Pojoaque, San Ildefonso and Tesuque establish the rights of way for some 34 miles of county-maintained roads that run through tribal land, which the Bureau of Indian Affairs in 2013 asserted were in trespass. A copy of the County Resolution 2018-13 is attached that contains the resolution followed by all of the four agreements. Click here. 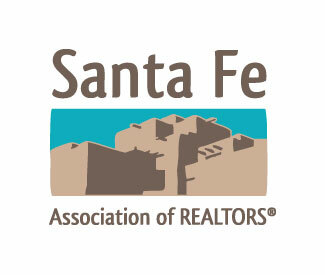 The Santa Fe Association of REALTORS® encourages members and the public to be actively engaged in local government by working to protect private property rights. SFAR has adopted Guiding Principles to guide its public policy actions. Whether you are a Realtor member, Affiliate member, local homeowner, part-time resident, or member of the public, we hope you will use the information provided to take action on local issues. For legislative information for the REALTORS® Association of New Mexico (RANM) and National Association of REALTORS® (NAR) which includes information on RANM’s State Political Coordinator Program and Federal Issues Information Center click on the links. For information from the City of Santa Fe and Santa Fe County which includes information on Elected Officials, Upcoming Elections, Public Meeting schedules, and important Water and Fire information, click on the links. National Association of REALTORS® Hot Topics The National Association of REALTORS® offers information to a variety of land use topics and issues.